Glowstone Block is found in the nether world. It is most commonly used as a light source. Glowstone has a light level of 15 and is able to glow underwater. 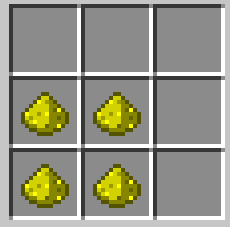 The block can be mined and will drop three Glowstone Dust. It is able to be traded by Librarian Villagers.